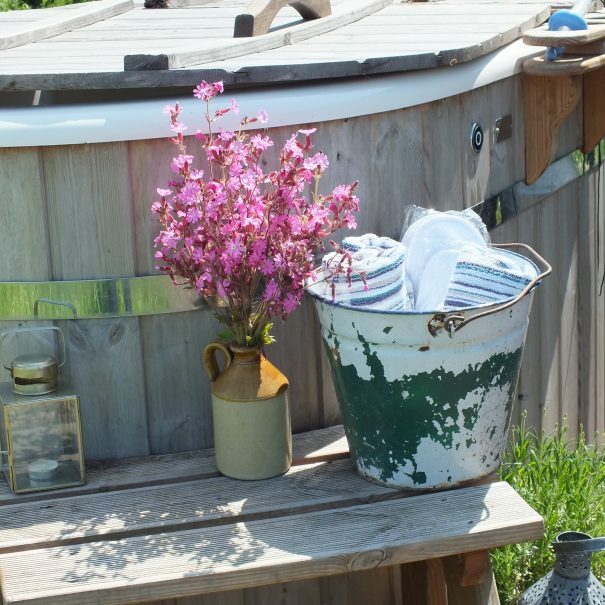 A delightful en suite shepherd hut with marvelous views of the rural Dorset Countryside and its own private wood burning hot tub to enjoy them from. 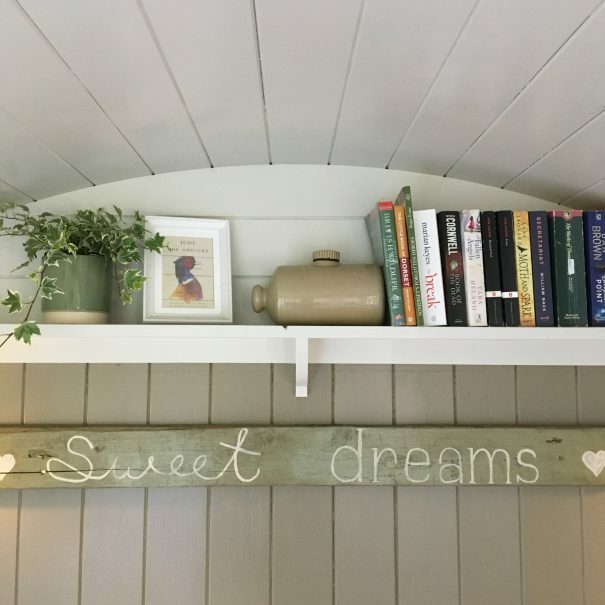 Whether you decide to explore the miles of footpaths which emanate from the car park entrance or just put your feet up, read a good book and tuck in to the homemade cake or cream tea provided, your sure to have a relaxing time in the Pleasant Pheasant. 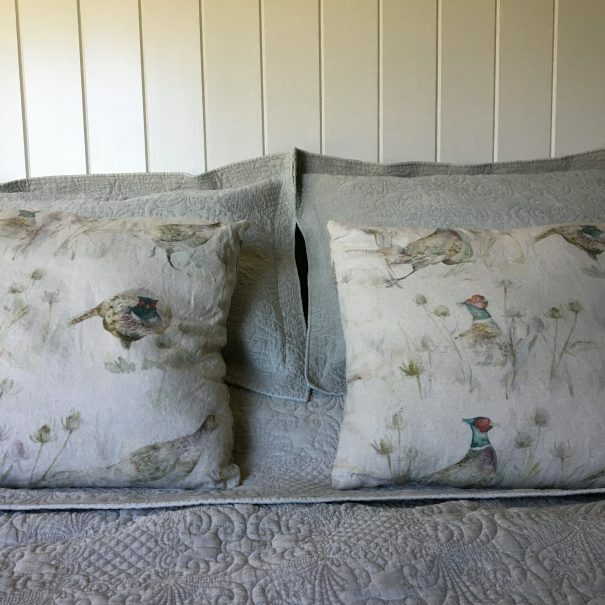 Named after the colorful birds that can be spotted all around the farm, The Pleasant Pheasant has all the creature comforts you need to enjoy your glamping retreat. 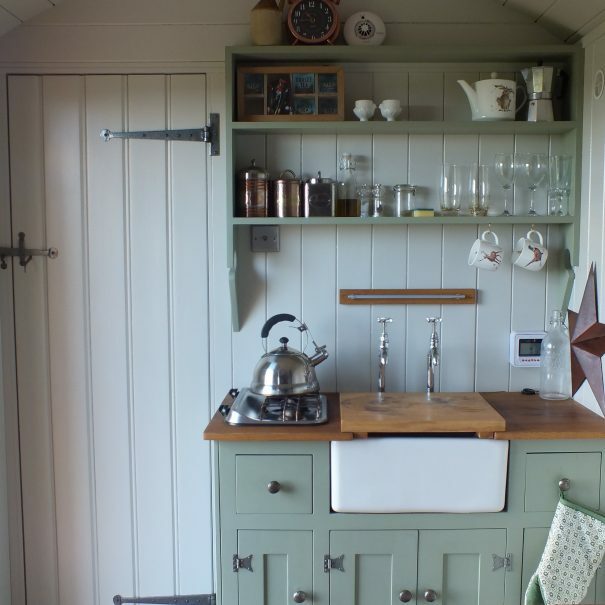 A small kitchen dresser complete with a sink and gas hob, and an en suite shower room with flushing toilet are all contained within this fantastically designed hut that is heated wonderfully by the small wood burner inside. 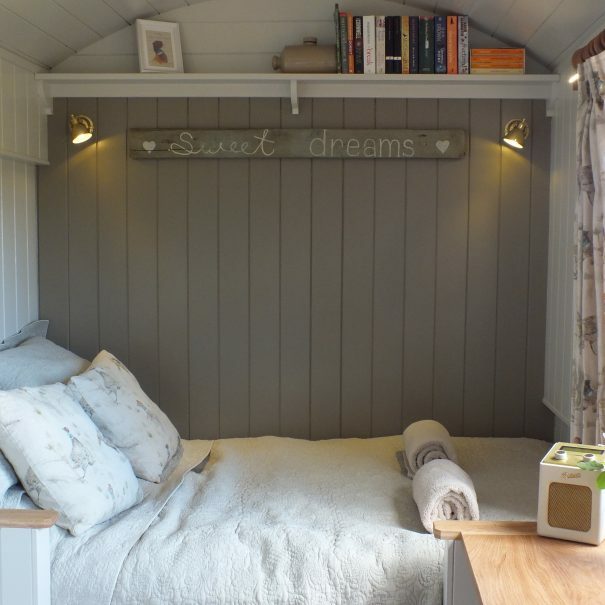 When your ready to head for bed, just fold away the table and bench seats then pull down the ingenious double bed which is all made up ready for you, then get yourselves tucked in for a peaceful nights sleep. 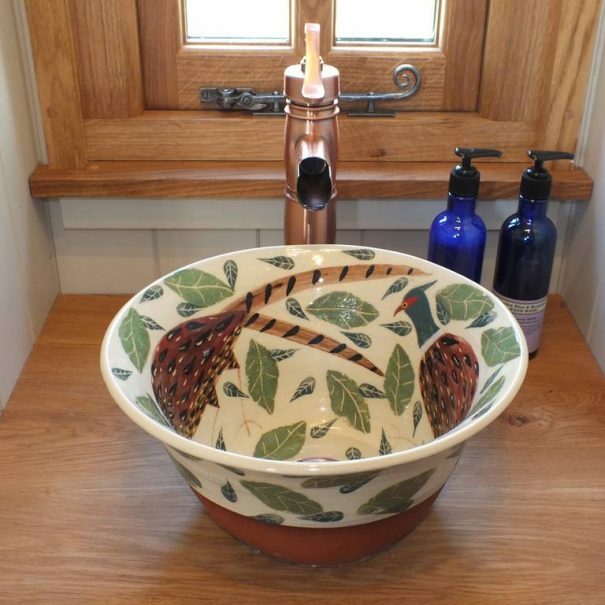 Gas powered shower En suite flushing toilet Belfast sink in kitchen dresser with running hot and cold water Locally made hand wash Please note there may be time of the day when hot water might not be immediately available due to water usage on the farm. 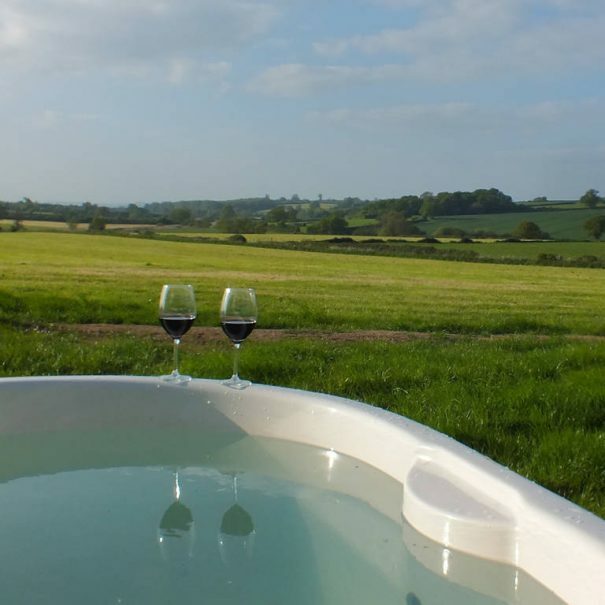 Unlimited use of the hot tub is charged at £30 per stay. 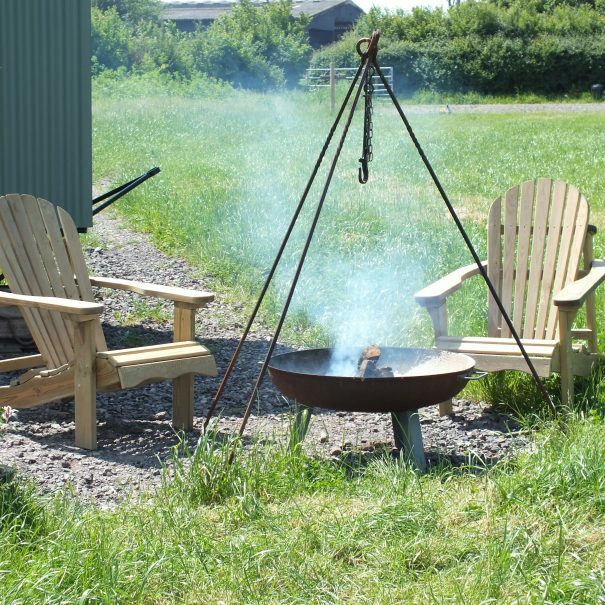 Enough logs for two uses are provided, along with spa slippers and small towels for your feet! Weekend minimum 3 nights stay (June, July and August only). 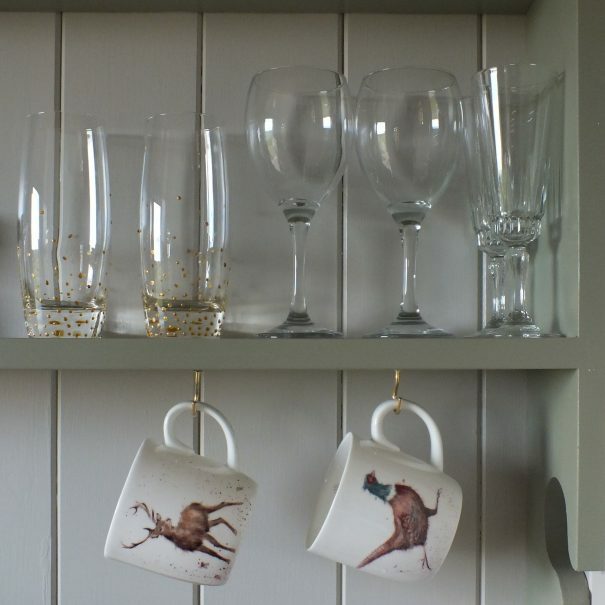 Weekday Stays of 2 or 4 nights.